Rip Saw measures over 84" TTT now. This cow is a real winner. What a great young Reg. 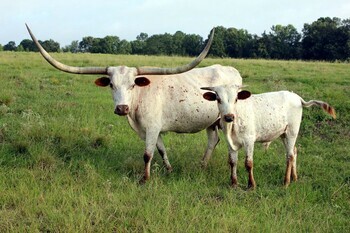 Texas Longhorn this one is!! !